I’m just back from a really wonderful trip to Japan, which suprised and enriched me. I start mystorytelling today, with one of the most unique experiences of my trip between Tokyo and Kyoto. [ITALIAN ] Sono appena rientrata da un viaggio davvero splendido in Giappone, che mi ha emozionata, sopreso, arricchita. Comincio il mio racconto oggi, da quella che è stata per me una delle esperienze più uniche del mio viaggio tra Tokyo e Kyoto. Today is also the opening day of a museum that will really change the way we design and experience the museum environment. 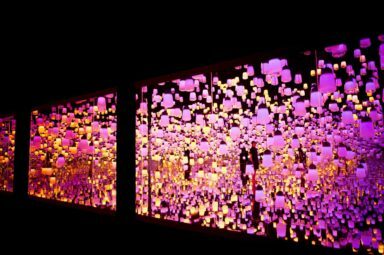 It is called “MORI Building DIGITAL ART MUSEUM teamLab Borderless” and the concept is much simpler than its name: it is in fact the first digital art museum in the world. 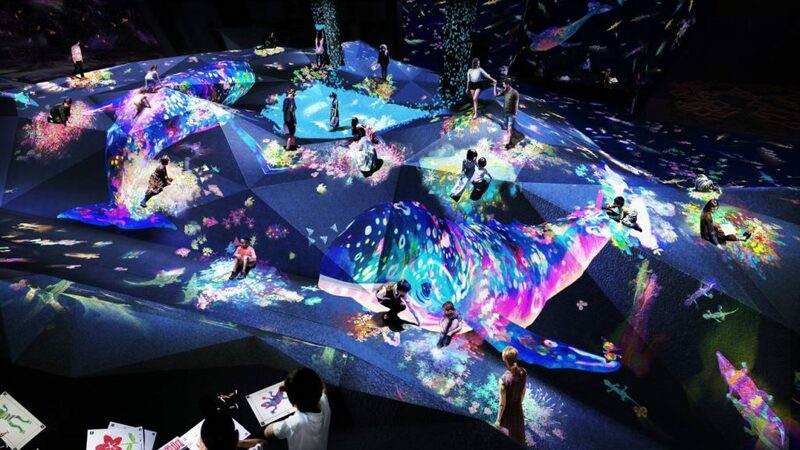 The museum is located in Odaiba, a large artificial island in the bay of Tokyo, dedicated to culture and entertainment, which will also be the main area of the upcoming 2020 Olympic Games. 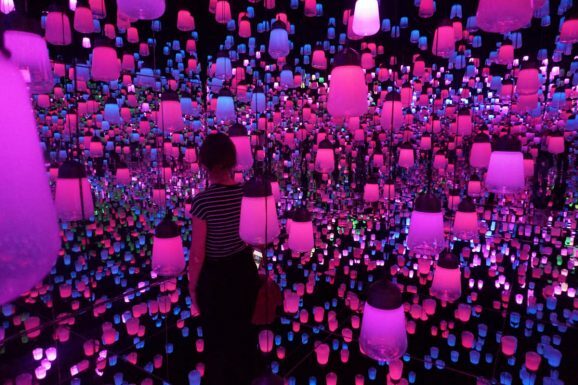 10000 square meters entirely dedicated to digital art, with 50 installations designed by teamLab, an interdisciplinary Japanese studio of “ultra-tecnologists” famous for some of the most beautiful installations around the globe. 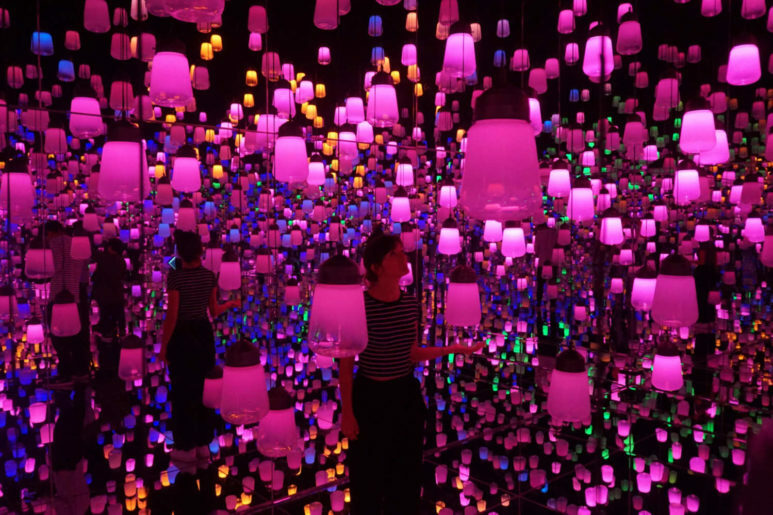 Having the opportunity to visit the museum in press preview last week during our trip to Japan was a really special experience for me, that I want today to share with you. 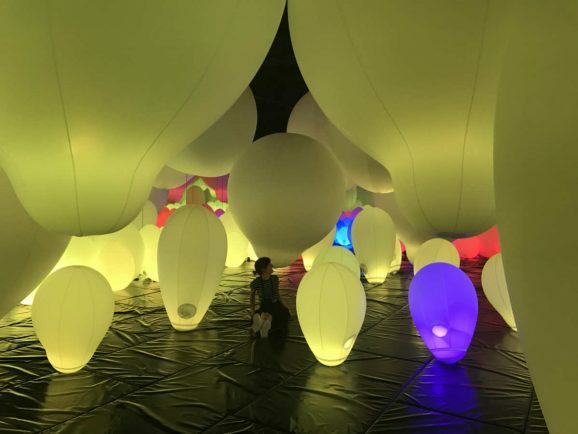 In addition to this, I also asked a few questions to Takashi Kudo, director of communication of teamLab, to tell you better about this unique project. 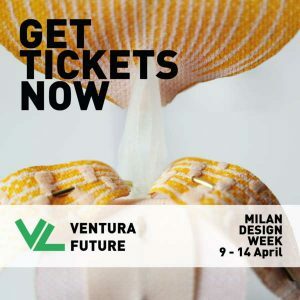 Oggi è il primo giorno di apertura di quello che si preannuncia come un museo che davvero cambierà il modo di progettare e vivere l’ambiente museale. 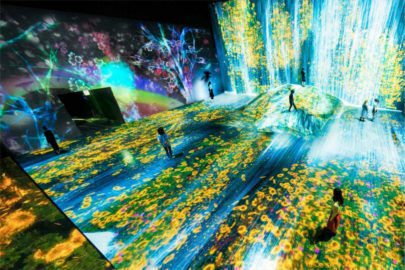 Si chiama “MORI Building DIGITAL ART MUSEUM teamLab Borderless” e il concept è decisamente più semplice del suo nome: si tratta infatti del primo museo di arte digitale al mondo. 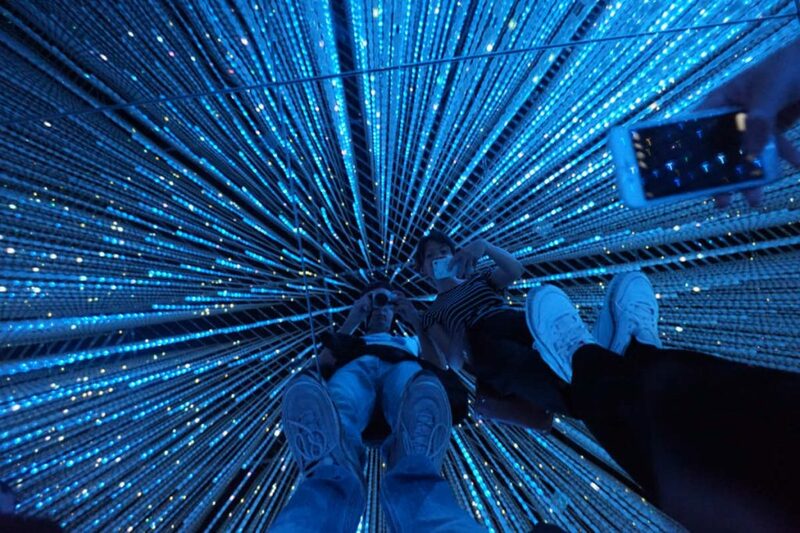 Il museo si trova ad Odaiba, grande isola artificiale nella baia di Tokyo, interamente dedicata alla cultura e al tempo libero, oggetto di grandi rinnovamenti in vista delle prossime Olimpiadi del 2020. 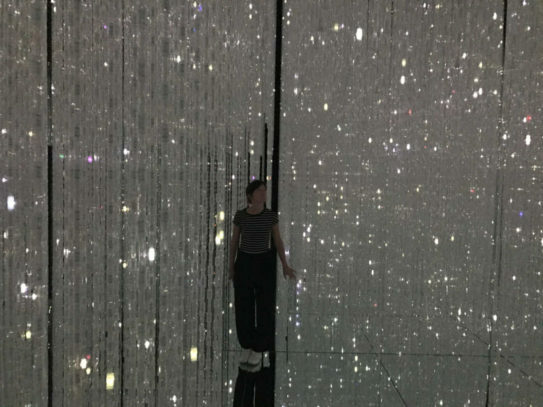 10000 metri quadri con 50 installazioni di arte digitale progettate da teamLab, lo studio giapponese interdisciplinare che da 15 anni studia il mondo del digitale applicato all’ arte, autore di alcune delle più belle installazioni di sempre. 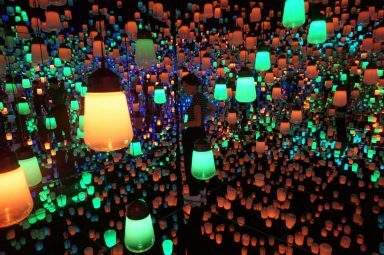 Si tratta di un ambito che mi ha sempre affascinata molissimo, e aver avuto la possibilità di visitare il museo in assoluta anteprima stampa la settimana scorsa durante il nostro viaggio in Giappone è stata per me un’esperienza davvero speciale che voglio oggi condividere qui nel blog. 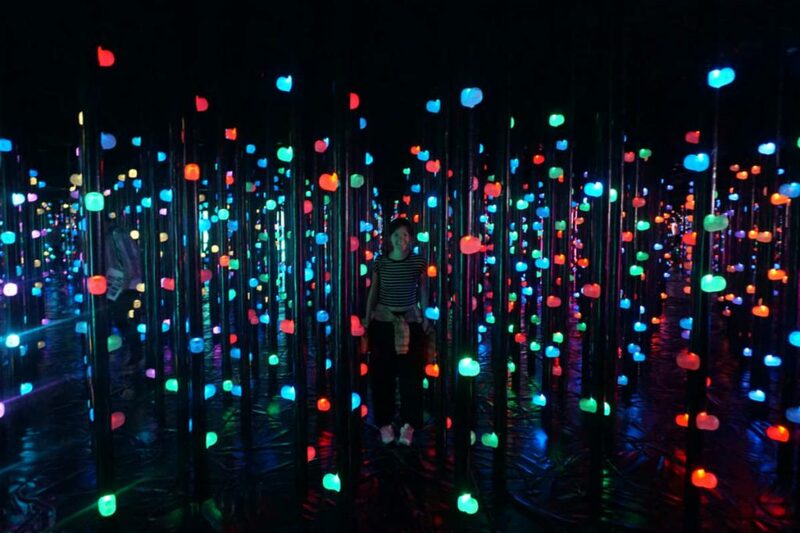 Non solo: ho fatto alcune domande a Takashi Kudo, direttore della comunicazione di teamLab, per raccontare al meglio questo progetto unico e la realtà di uno studio davvero diverso dall’ordinario. Ovviamente, se hai in programma un viaggio a Tokyo (come ti invidio!! ), ti consiglio di non perdere la visita di questo museo. Trovate tutte le info a questo link. 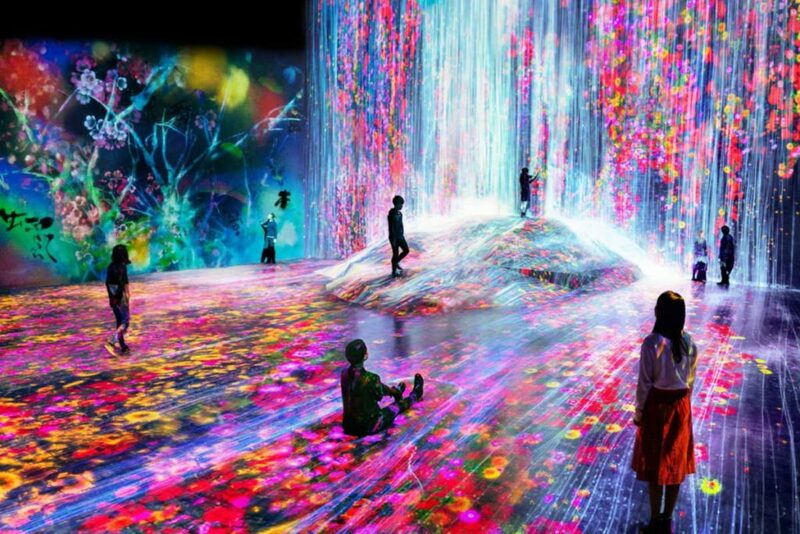 There is no default path to follow at the DIGITAL ART MUSEUM teamLab Borderless. 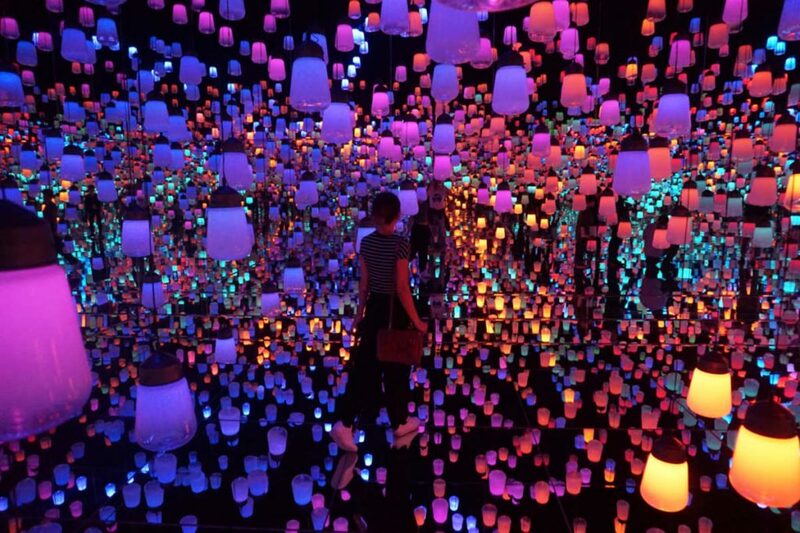 There are no hanged works of art to look at, only installations to be lived. 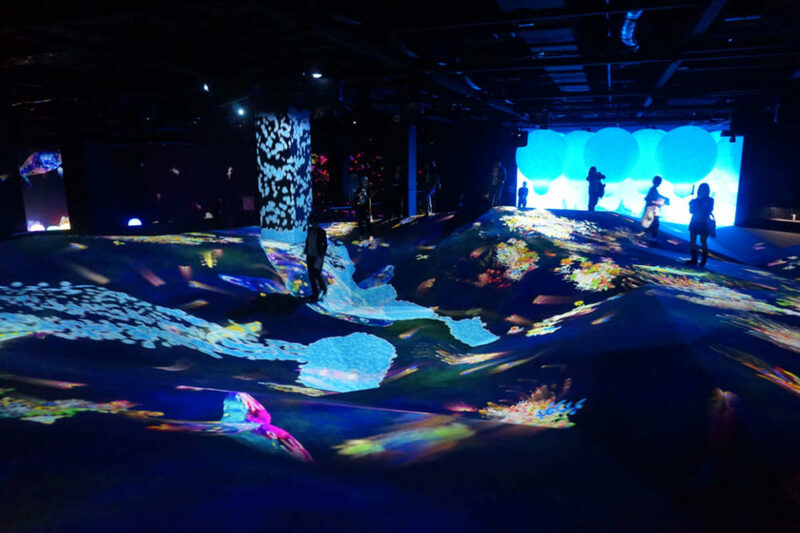 DIGITAL ART MUSEUM teamLab Borderless is designed for children, adults, families, it can be visted alone or together. 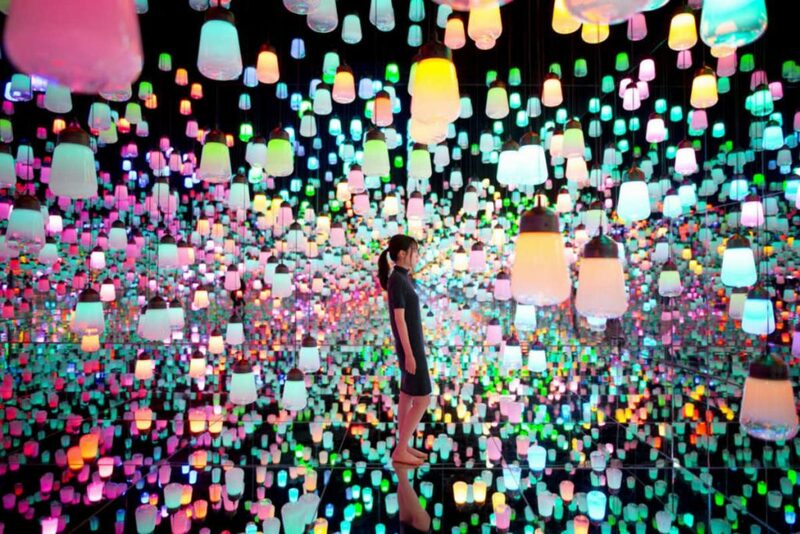 Everything is designed to give the visitor an immersive, digital but at the same time physical experience. 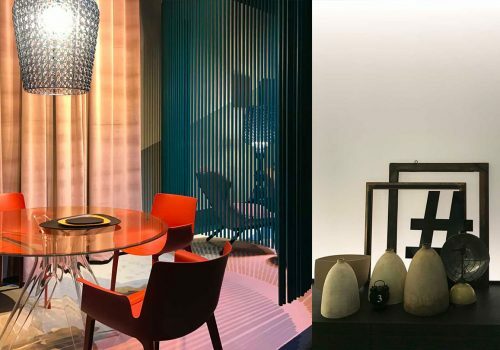 Without limits between visitor and artwork – borderless, as the name says. 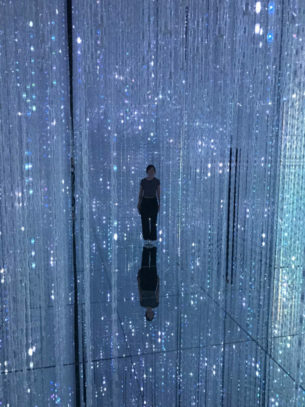 The visitor can in fact interact with the installations, which are inspired by different themes that refer to the Japanese tradition or to the world of nature (things that, very often, go hand in hand). 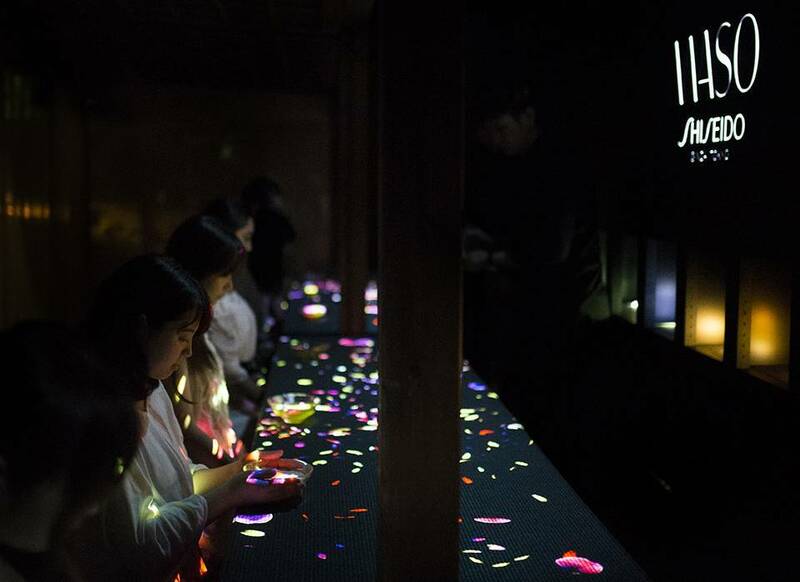 You can drink matcha at the EN Tea House, while seeing flowers blooming in your teacup. 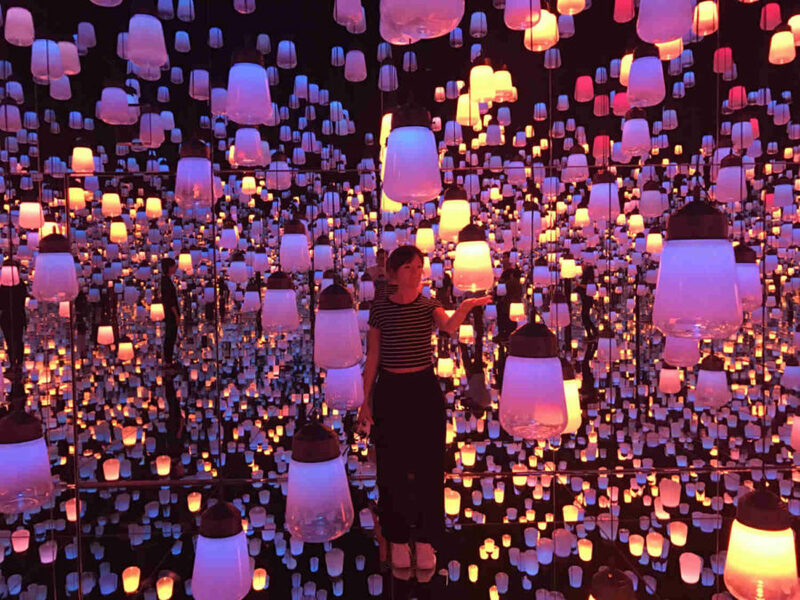 You can immers yourself in the Forest of Lamps, where lamps respond to your human interaction by lightening, changing color and passing to the closer lamps. You can have fun in the Athletics Forest, while running after geckos, jumping among the stars, diving into the water, climbing into a bamboo forest, to name a few. 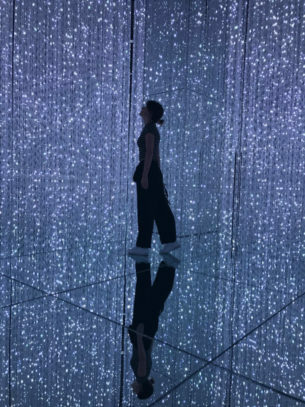 You can hear the sound of storm in the Crystal Universe, while surrounded of thousands of vertical leds recreating sounds and colors. OK I’m not crazy, it’s all true. Since you do not believe me, I asked teamLab to explain us better about this museum. Enjoy the full interview after the photo gallery. Al DIGITAL ART MUSEUM non c’è un percorso predefinito. Non ci sono opere da guardare, ma solo installazioni da vivere. 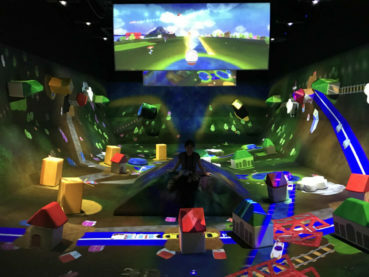 Il DIGITAL ART MUSEUM è pensato per bambini, per adulti, per famiglie, per persone solitarie o che amano stare in compagnia. Tutto è studiato per dare al visitatore un’esperienza immersiva, digitale ma allo stesso tempo fisica. 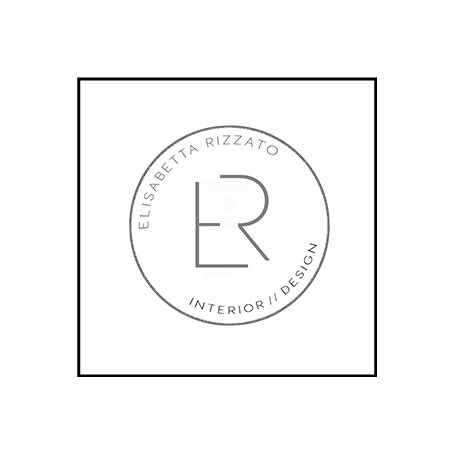 Senza limiti tra visitatore ed opera d’arte – borderless, appunto. 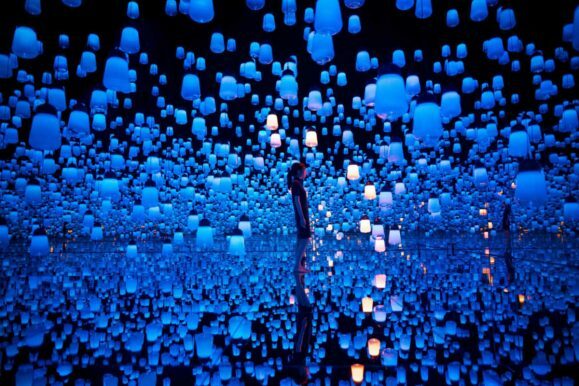 Il visitatore può infatti interagire con le installazioni, progettate attorno a diverse tematiche che rimandano alla tradizione giapponese o al mondo della natura (cose che, molto spesso, vanno a braccetto). E così, puoi bere del té matcha nella EN Tea House e vedere spuntare fiori sulla tua tazza. 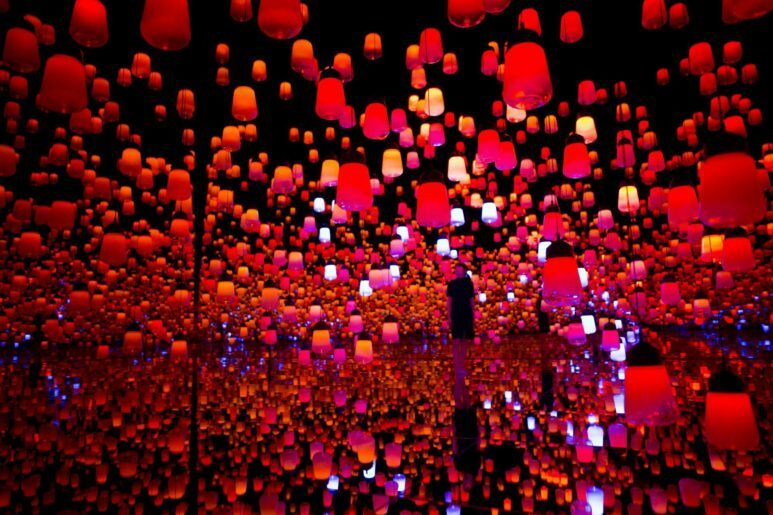 Puoi immergerti nella Forest of Lamps, che è una vera e propria selva di lanterne intelligenti: si illuminano, cambiano colore e trasmettono informzioni alle lanterne vicine in base alla presenza del tuo corpo. Puoi divertirti nell’ Athletics Forest, calpestando gechi, saltando tra le stelle, tuffandoti in acqua, arrampicandoti in una foresta di bambu luminosi. Puoi sentire il suono delle tempeste tropicali nel Crystal Universe, circondato da centinaia di led verticali che ricreano giochi di luce e suono pazzeschi. …e molto altro. Non sono impazzita, è tutto vero. 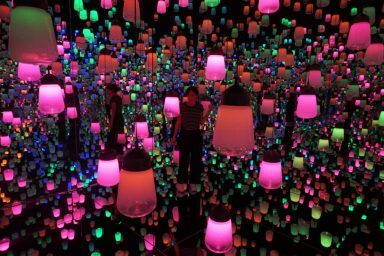 Siccome a me non credete (fate bene, comunque), ho chiesto a loro di teamLab di raccontarci questo museo…e sappiate che ai Giapponesi bisogna sempre credere, perché loro non mentono mai. E | Think about explaining the museum to a new visitor. Which will be the thing that will suprise him the most? What should he expect from the visit? K | The museum can be described as…Become lost, wander, explore and discover one world without borders. 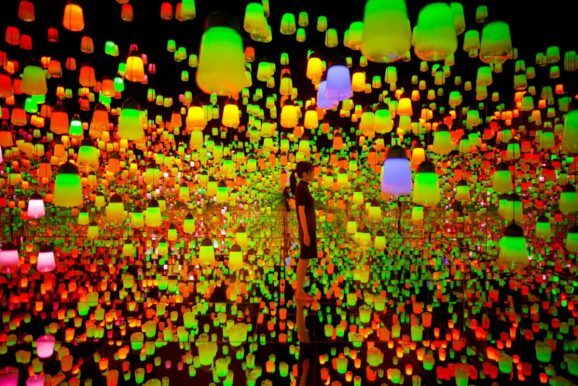 Digital art has been liberated from the constraints of material substance. 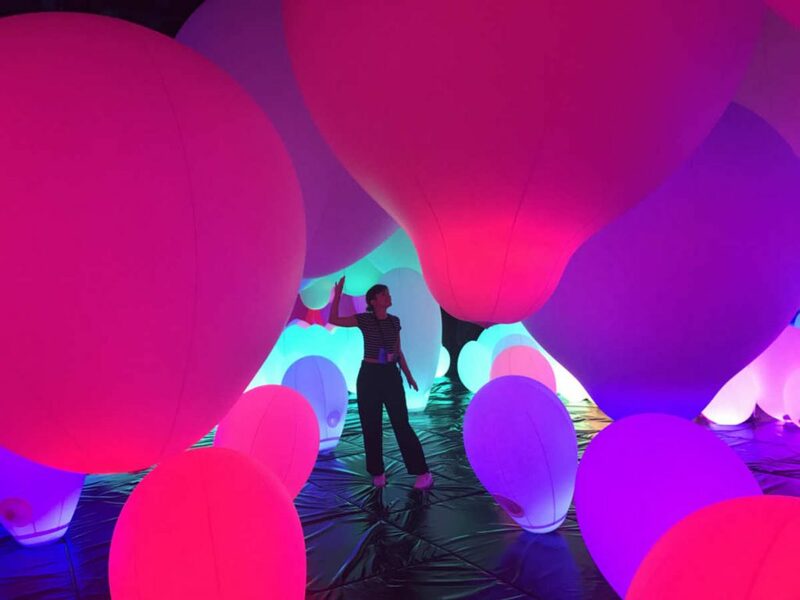 The feelings and thoughts that were incorporated into an artwork through a physical medium, can now be directly transferred to people (visitors) through experience. 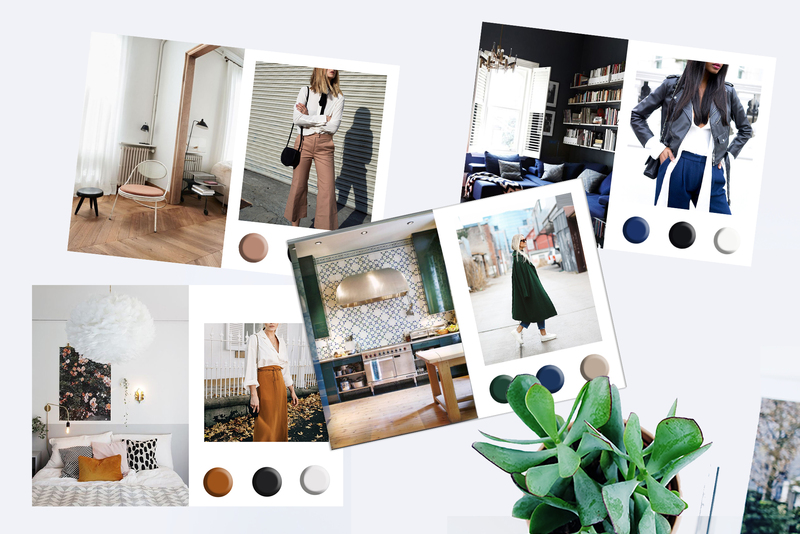 Unlike physical materials, people move freely with their bodies, form connections and relationships with others, and recognize the world through their own bodies. 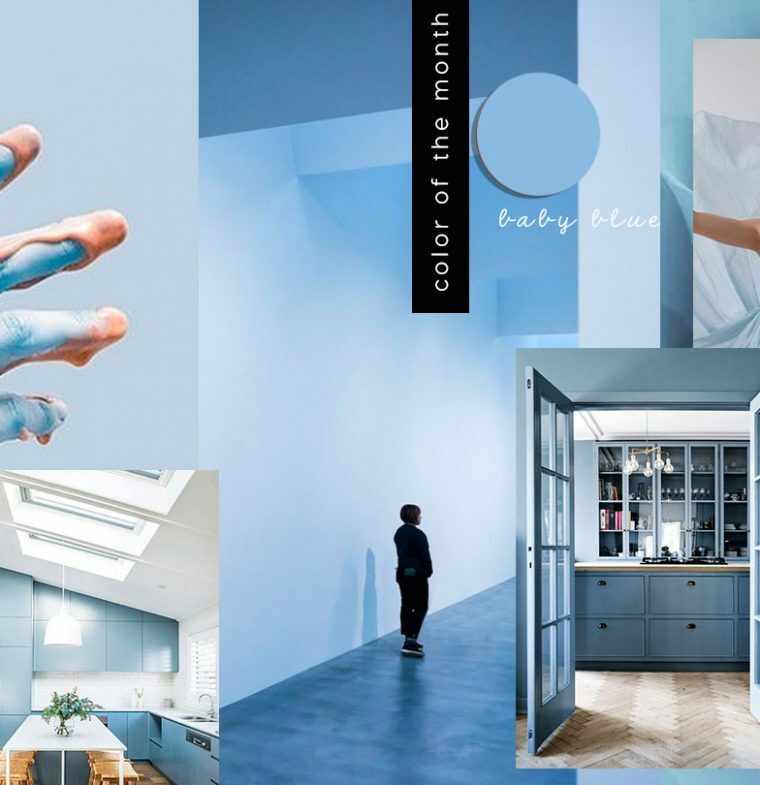 The body has a concept of time, and in the mind, the boundaries between different thoughts are ambiguous, making them influence and sometimes intermingle with each other. If an artist can put thoughts and feelings directly into people’s experiences, artworks too can move freely, form connections and relationships with people, and have the same concept of time as the human body. 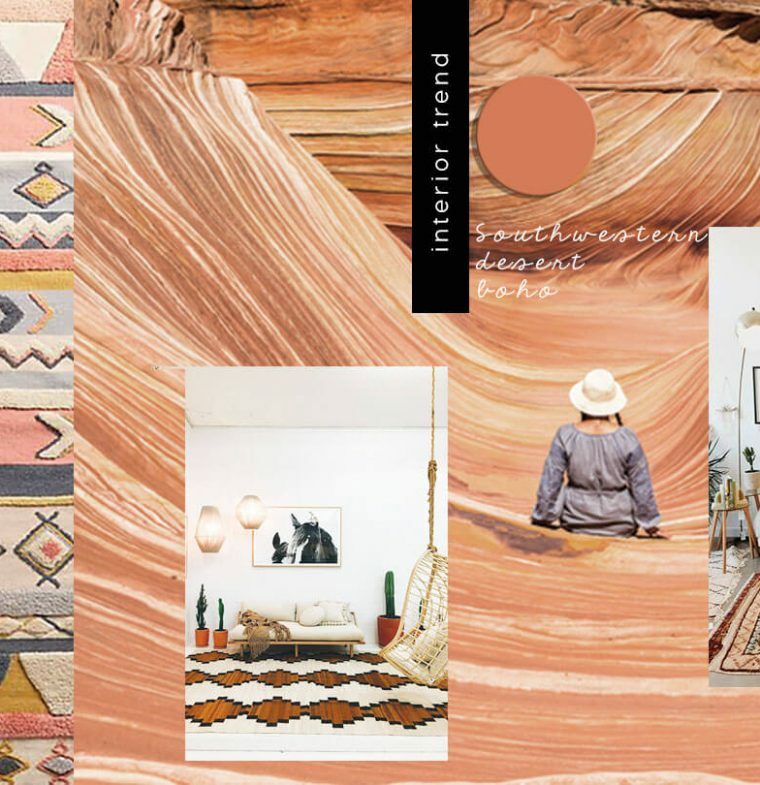 Artworks can transcend boundaries, influence and sometimes intermingle with each other. 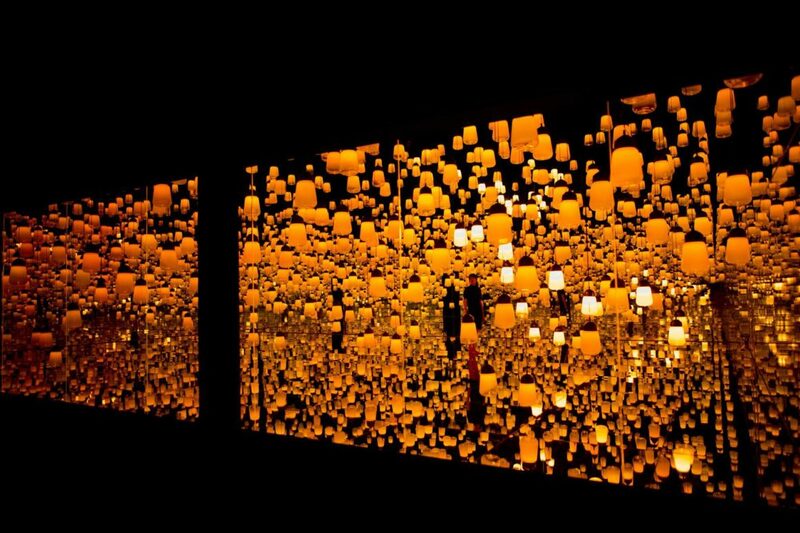 In this way, all the boundaries between artist, people and artworks, dissolve and the world teamLab Borderless is created. 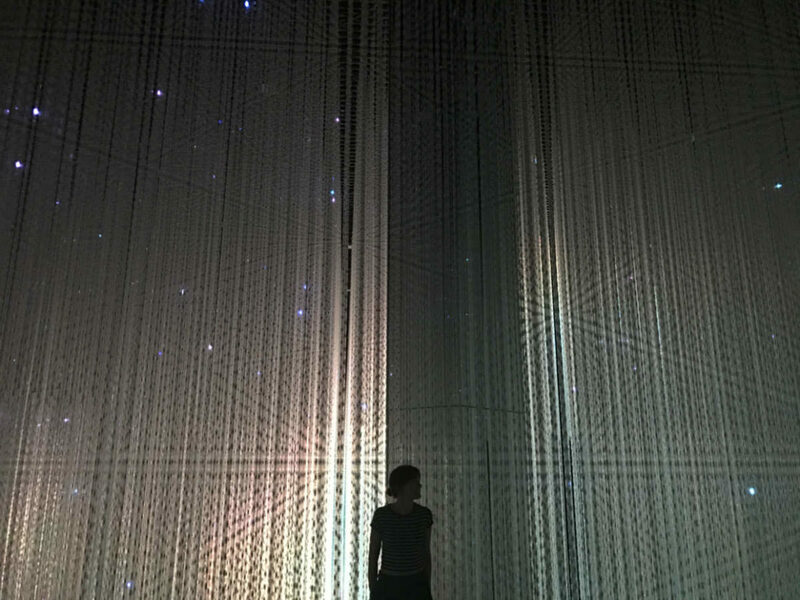 As people walk freely around teamLab Borderless they lose themselves in the artwork world. 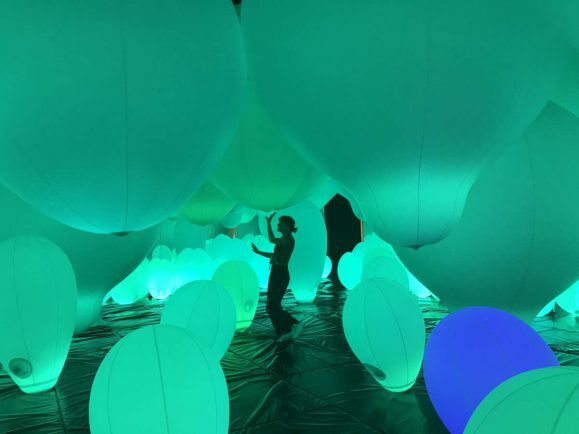 The borderless artworks transform according to the presence of people, and as we immerse and meld ourselves into this unified world, we explore a new relationship that transcends the boundaries between people, and between people and the world. 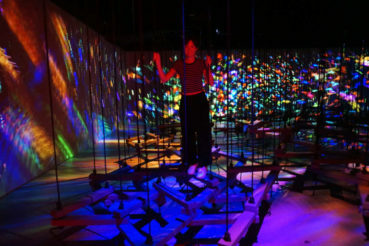 E | The museum features 50 installations. Is there one of them which was particularly difficult to be realised or more challeging? 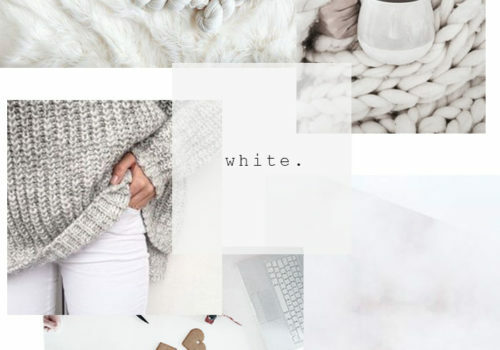 K | Always creating new artwork is difficult. Sometimes we have to create an artwork when we cannot clearly see the artwork’s goal. Our artworks are created by a team of hands-on experts through a continuous process of creation and thinking. 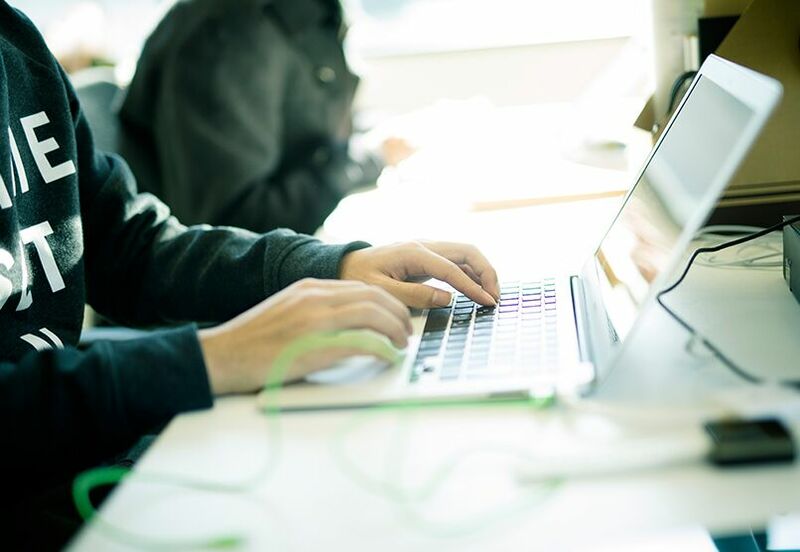 Although the large concepts are always defined from the start, the project goal tends to remain unclear, so what we need to do is for the whole team to create and think as we go along. 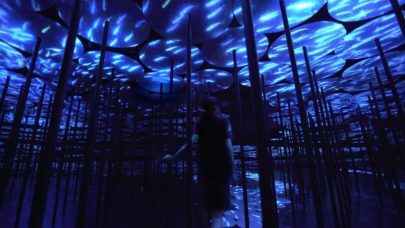 teamLab’s organizational structure seems flat at a first glance, but it is also extremely multidimensional, with an underlying layer that is unclear and undecided. The big concepts are always defined from the start, and the project goal and technical feasibility also go hand in hand. 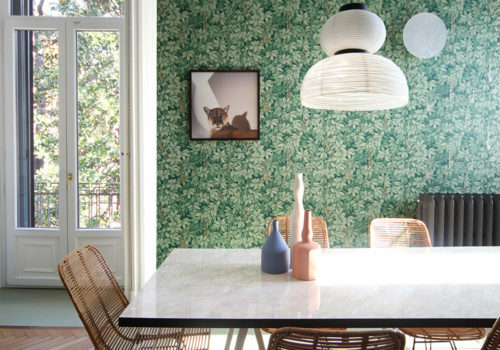 The goal of the artwork becomes more clearly defined as the team progresses its work. E | Which one do you think will be the main generational target of the museum? 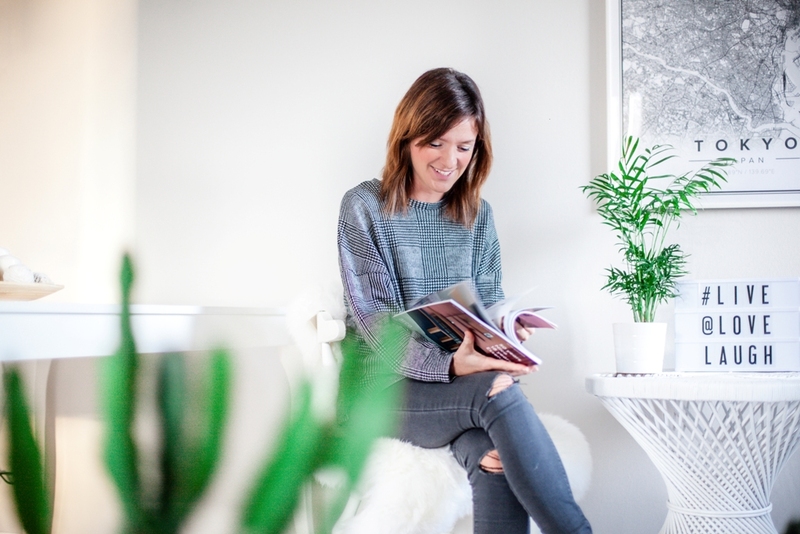 Childrens, Millennials, families…? K | For everyone, specially who believes future. E | There is not a fixed way to be followed when visiting the museum nor suggested directions. 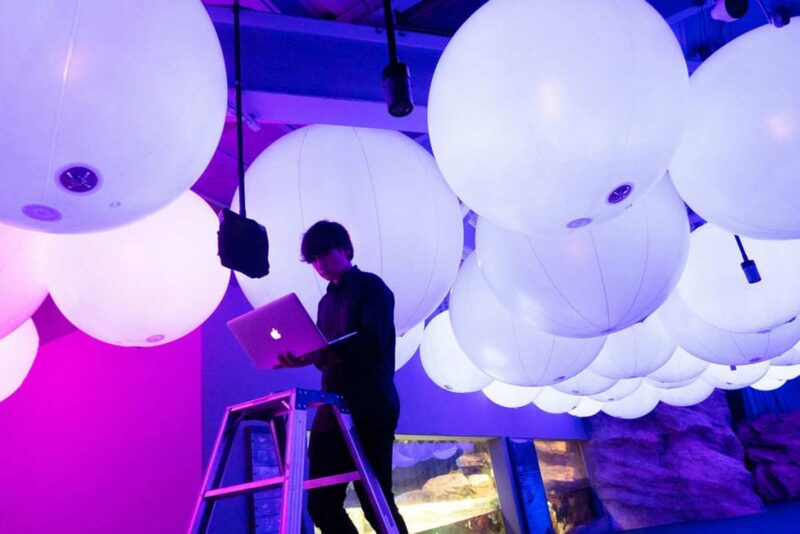 When designing the museum, how did you chose the locations of the installations? Is there any logical order? Generally talking, how long does it take for someone to fully visit the museum? 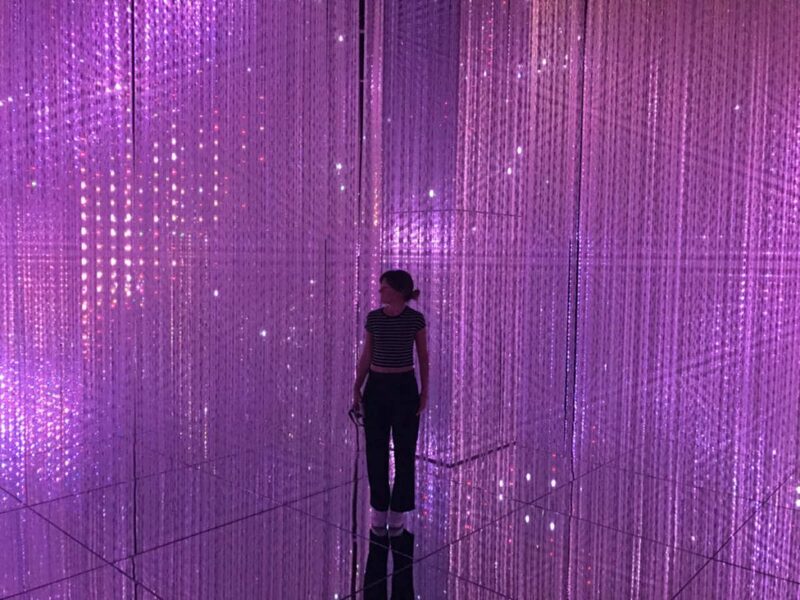 K | We have wanted to create the exhibition that delivers a borderless artwork world, and figured we needed to establish the museum itself in order to make that happen. Mori Building provides us with this chance to realize our ideas. Our plans are made possible by Mori Building that supports culture and art. Visitors seem to have experience from 90 min to 120 min average (but of cause some people have stayed much longer). 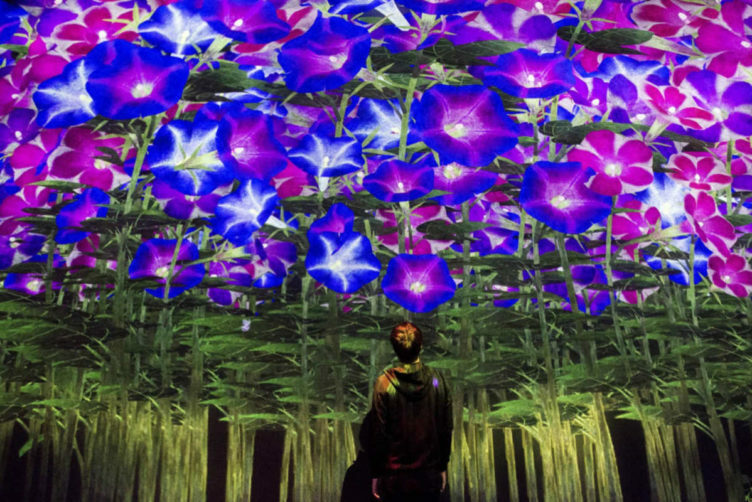 E | What do you think will be the future of digital art? 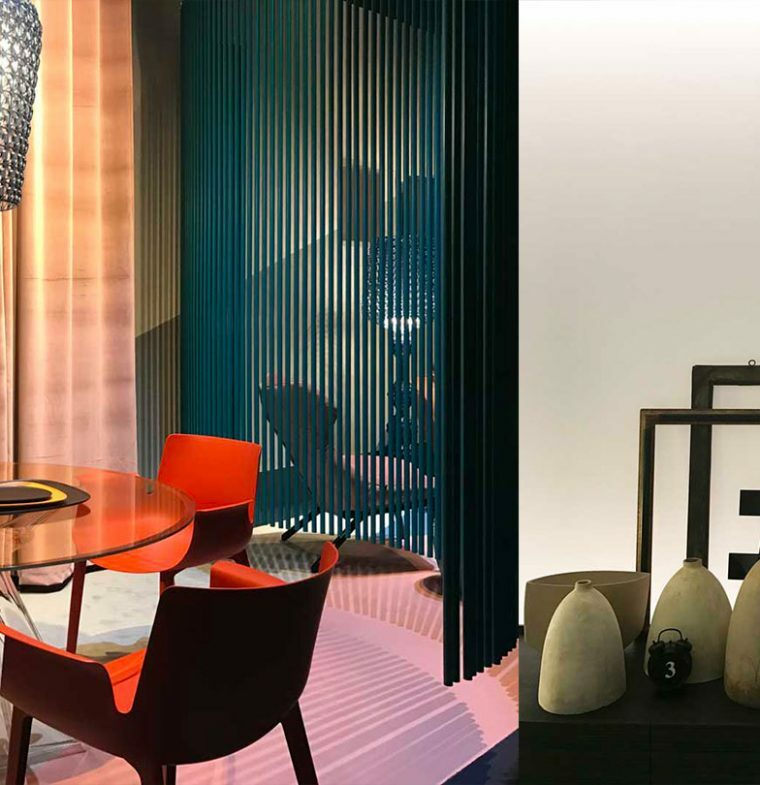 K | Digital technology allows artistic expression to be released from the material world, gaining the ability to change form freely. 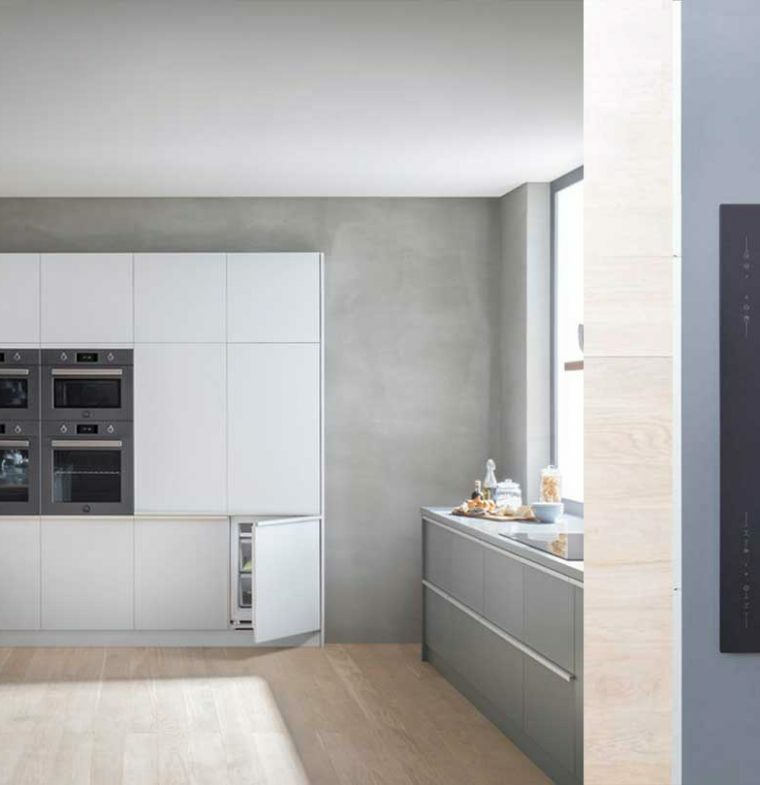 The environments where viewers and artworks are placed together allow us to decide how to express those changes. 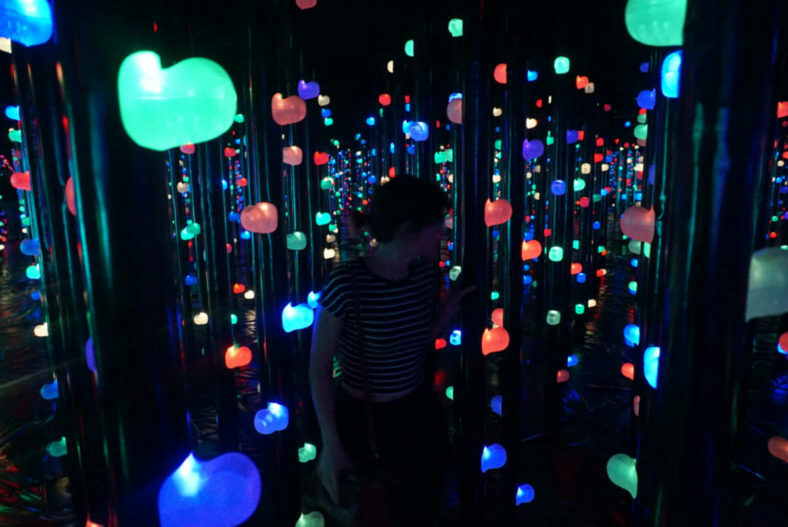 In art installations with the viewers on one side and interactive artworks on the other, the artworks themselves undergo changes caused by the presence and behavior of the viewers. This has the effect of blurring the boundary lines between the two sides. 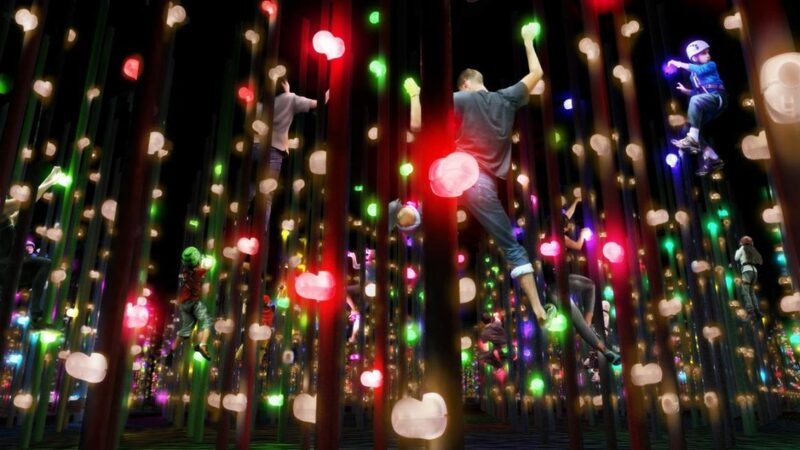 The viewers actually become part of the artworks themselves. The relationship between the artwork and the individual then becomes a relationship between the artwork and the group. Whether or not another viewer was present within that space five minutes before, or the particular behavior exhibited by the person next to you, suddenly becomes an element of great importance. At the very least, compared to traditional art viewing, people will become more aware of those around them. That’s right — art now has the ability to influence the relationship between the people standing in front of the artworks. We Believe that the Digital Domain can Expand Art. 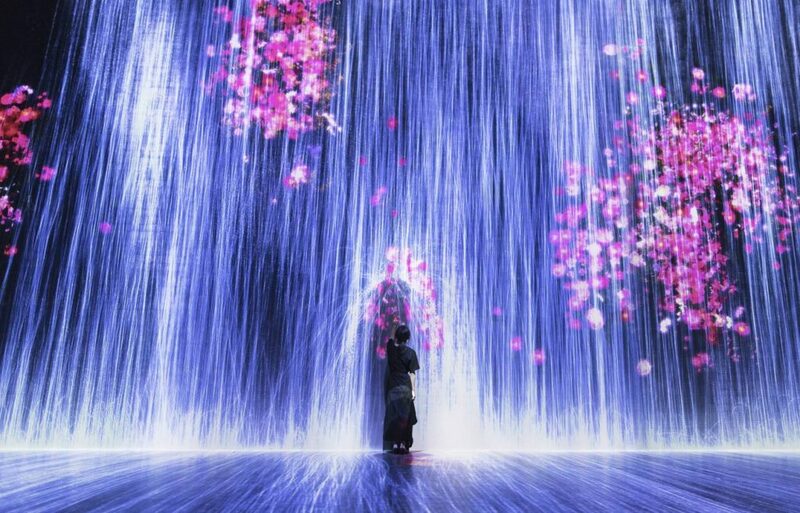 teamLab believes that the digital domain can expand the capacities of art, and that digital art can create new relationships between people. 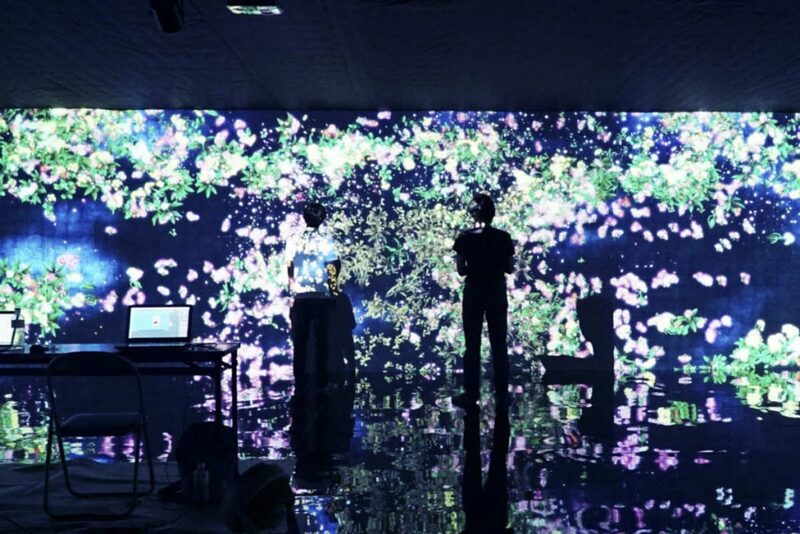 Our exhibitions Flowers and People, Can not be Controlled but Live Together and Crystal Universe are good examples of how we feel that by expanding a space through digital art, we are able to indirectly influence the way that people in the space relate to each other. 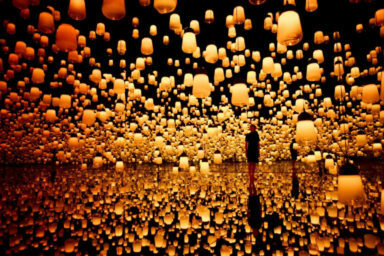 Now, if this space that has been expanded through digital art changes due the the presence of others, then the presence of others must be considered a part of the art. If such change is, in itself, a beautiful thing, then the presence of others can also be something beautiful. Through this combination of digital art and technology, we feel that we can make the presence of others something more positive. 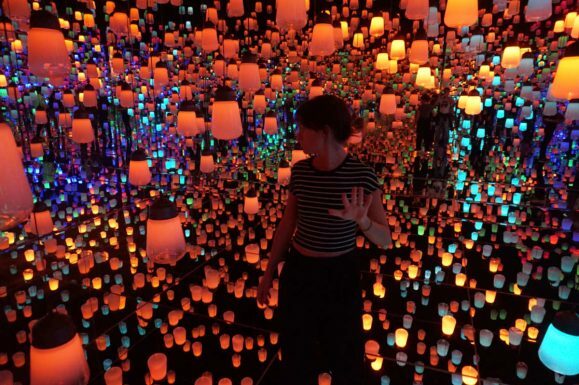 With the kind of conventional visual art we have had until now, you could say that, from the viewer’s point of view, the presence of others was an interference, at the very least. In our exhibitions, we feel that the presence of others can be felt as a positive presence, more so than in the kind of art that we have seen up until now.